Fujino line - tenkara - Japan - style - [standard] 3.6m line. This is an odd new design idea. Nylon core, 3.6m long coated orange that tapers to a transparent tip 0.6m long. 4.2m total length. The colored tapered length of 3.6m + 0.6m 1.5 号 nylon clear extension to where tippet is attached, though the clear extension can be cut to make a the line shorter if you want. Don’t think it’s for me, but might appeal to others. Девид,а ты какой шнур используешь? Я пока только Левил Лайн и мне больше не с чем сравнить. Хотя на новый сезон у меня появились несколько вариантов. Плавающий шнур,плетёный. Most often I use fluorocarbon level line. Size 3号. Sometimes 2.5号 or 3.5号. 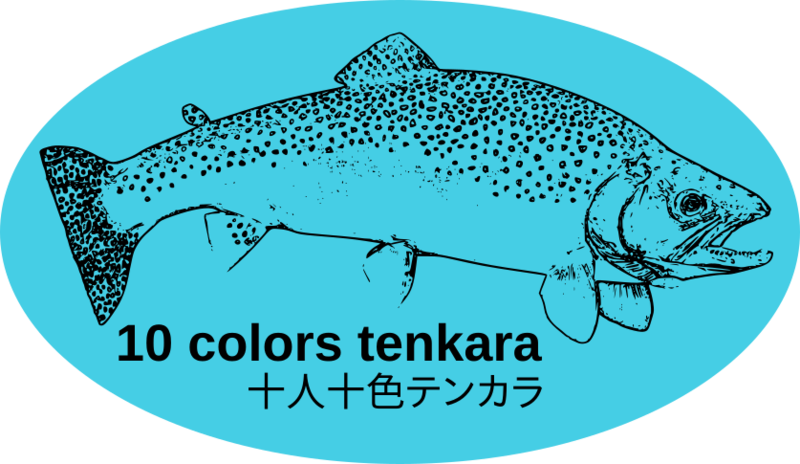 Also often fish with Fujino Line Soft Tenkara Line - that is a tapered nylon line, 5meters or 4meters. Or a TUSA version that is 4.5m. I sometimes do practice casting with Fujino Lone Long Soft Tenkara Line, mostly with 7m or 8m line. Once in a while I will fish with the 7m, but not often. Mostly I fish with 4.5m or 5m line. Sometimes 4m, or 5.5m line. Mostly with 4m rod. Less often with 4.5m rod. Or 3.9m rod. If I fish with 3.6m rod or shorter rod, I use shorter lines. Mostly I fish with a line length = 1.125x or 1.25x rod length. Plus 0.8m to 1.5m of tippet. Either fluorocarbon or nylon tippet. http://www.fujinoline.co.jp/archives/3419.html Mostly just for practice to try to improve my casting rhythm, maybe once each season I will fish with the 7m length. But mostly I don’t like fishing with a line that long. Furled lines, but I do not use them often, probably have not used them over the last 3 seasons. I also have a couple of fluorocarbon tapered lines I still fish with, they were tied from different sizes of fc line, that Tenkarabum made and sold years ago. I think I have 3 different lengths, if I recall correctly, the longest being 6m.